Every March, thousands of people come together to celebrate Endometriosis Awareness Month. 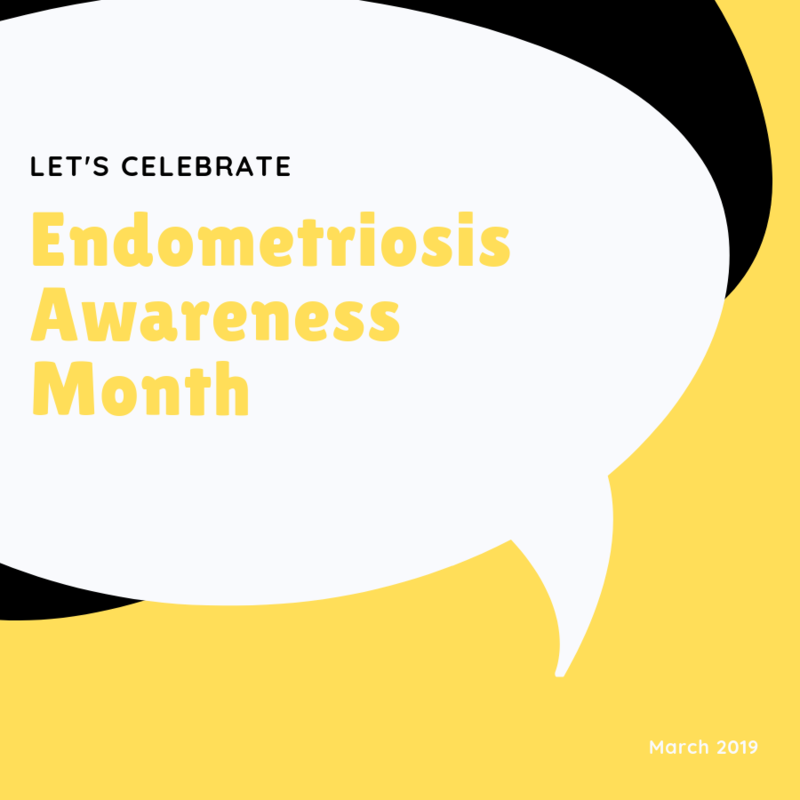 Endometriosis is a painful condition in which tissue similar to the tissue lining the uterus grows outside of the uterus – this disease affects more than 200 million individuals (myself included) worldwide. Here are a few ways to get involved this Endometriosis Awareness Month. Two years ago, I attended the WorldWide EndoMarch in Long Island, New York, and it changed my life for the better. There, I met Dr. Farr Nezhat – the endometriosis specialist who later alleviated me of my pain and officially diagnosed me with endometriosis via laparoscopy. The Worldwide EndoMarch is described as one of “the largest, internationally-coordinated endometriosis awareness platforms of its kind.” Join the movement by registering for EndoMarch 2019, which takes place in several cities around the world on Saturday, March 30. All U.S.-based EndoMarch events are free, family-friendly, and open to the public. Help millions by signing up to become an EndoMarch member. Members get insider access to information on volunteering, the Global Health Fellows Program, online courses on endometriosis, endometriosis research funding, and Advocacy Day, among other things. Celebrate Endometriosis Awareness Month by participating in the first-ever Petition Congress by Text Campaign. If you’d like to reach out to your district’s U.S. representatives or senators throughout the year (in a more traditional way), you can petition Congress via Facebook, email, or mail. Not sure what to write? Here’s a template letter to get you started. The #TeachEndoNow! Campaign is a global call to action to bring endometriosis awareness to every high school in the U.S. by 2020. Here’s more info on how to participate. Do you have your own Endo story you’d like to share with the world? If so, send an email to writers@endofound.org. If your essay is selected, your submission will be published live in EndoFound.org's EndoStrories section. If you can (and you’re comfortable doing so), donate to the Endometriosis Foundation of America. Your donation will help support EndoFound increase disease recognition, provide advocacy, facilitate expert surgical training, and fund landmark endometriosis research. Volunteer to host a fundraiser, run in a race, or join forces with the ENPOWR Project to benefit the Endometriosis Foundation of America. Do a bit of research in honor of all of the females who are suffering from this condition and become an advocate. Help us spread the word! Do you know of other resources to help people dealing with endometriosis? Do you plan to participate in Endometriosis Awareness Month? Tell us in the comments! February was American Heart Month. Read about this family's struggle with Congenital Heart DIsease here.